Una Portada y una Viñeta. 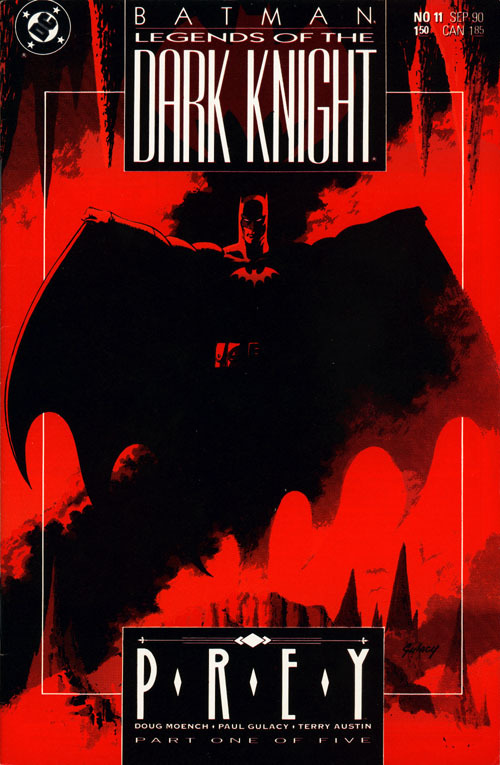 Página 17 de Creature of the Night, publicada originalmente en Batman #0 (Fecha de portada: octubre de 1994). En ambos números el guionista fue Doug Moench. ¿Coincidencia? 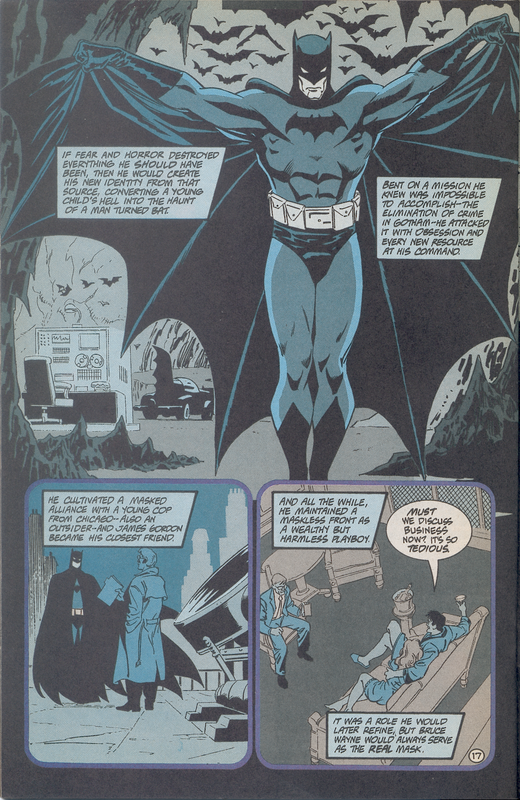 With Dark Moon Rising, Matt Wagner answers a question that remained unanswered since 1987: how did the early adventures of the Bat-Man, with its gothic atmosphere and elements that wouldn’t look out of place in a horror movie, fit into the life of the Batman that emerged after Crisis on Infinite Earths and, more specifically, after the revamping of the character in Batman: Year One, in which a modern urban setting and a relatively “realistic” tone were established for the adventures of the Dark Knight for years to follow? And, at least with the first installment of the project, Batman and the Monster Men (BATMM), the answer he provides is an effective and entertaining one. With BATMM, Wagner accomplishes something that seemed impossible: he unifies the original mad scientist version of Hugo Strange with the psychiatrist one that was introduced in the “Prey” story from the Batman: Legends of the Dark Knight monthly title. The story acts as a “missing link” between Batman: Year One and Prey. At the end of BATMM, Strange is doing the same thing he’s doing when he appears for the first time in Prey: he’s on a TV show, speaking about Batman as an expert on the subject. Also, in BATMM we see Batman build and operate the prototype of a car specially equipped to be used in his war on crime, and there’s a line said by Alfred Pennyworth that heralds the appearance of the first true Batmobile in Prey. The story also contrasts its golden age and “year one” elements, like when Batman’s talk of giant mutant cannibals makes Captain Gordon wonder if he’s made the right choice trusting the masked vigilante. Wagner “Mazzucchellizes” his drawing style just enough to make the reader feel that the story takes place in the same Gotham seen in Batman: Year One (Dave Stewart’s colors play a big part in this as well), yet the end result, aesthetically and storytelling wise, is totally (Matt) Wagnerian. He arrives to Mazzucchelli’s Gotham and makes the city his home, to put it one way. Reading the story, as usual with a Wagner work (at least those I’ve read), feels like reading a comic. This may seem obvious and not worth mentioning, but it seems that many comic creators these days work hard to make their work feel like something else instead of a comic. You can tell that Wagner knows he’s doing a comic, not a TV series or a movie, and that he loves it. The story takes a while to really get going because Wagner takes his time to introduce and define the main players in the story, but meanwhile he gives us enough crime-fighting action and character interaction to keep things interesting. And after all the pieces are in place and the showdown between Batman and Hugo Strange begins, the battle is as exciting as any great Batman tale. In the fights against the monster men, it feels like Batman is actually in danger, and to come out alive he is pushed to his limits, having to use not only his fighting skills, but also his gadgets, his intellect and whatever his surroundings offer him. But probably the greatest accomplishment of the story is the fact that Hugo Strange, while clearly shown as a villain, is, perhaps without precedent, portrayed as an actual human being, capable of feelings of friendship and gratitude. In this story, Batman administers violence quickly and efficiently when he fights a group of thugs, but when he has to get information from one of them he is not against inflicting physical torture. This approach to the Dark Knight is consistent with the one Wagner had already given us in Batman: Riddler – The Riddle Factory, and I think it makes a lot of sense. This “ugly side of being Batman” is something that sometimes I’ve felt the caped crusader’s monthly titles don’t show enough of. In conclusion: a great Batman story, with very good art, a very good script, and a very good combination of golden age and post Crisis elements. 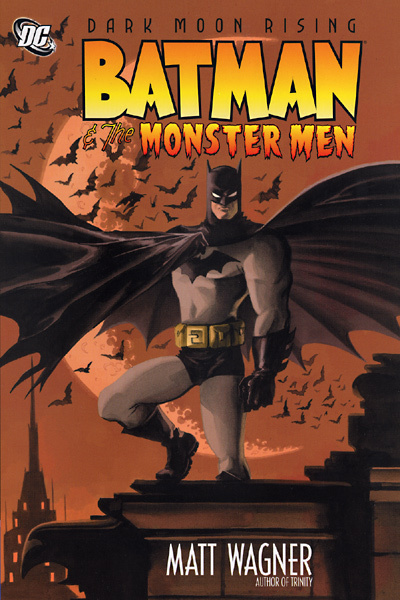 – Collects the “Batman and the Monster Men” six-issue limited series (DC Comics, 2006). – Story and art: Matt Wagner. – Covers (limited series): Matt Wagner.